Movies as we know them today are a trick. They do not technically depict motion, but rather a series individual images shown in succession. 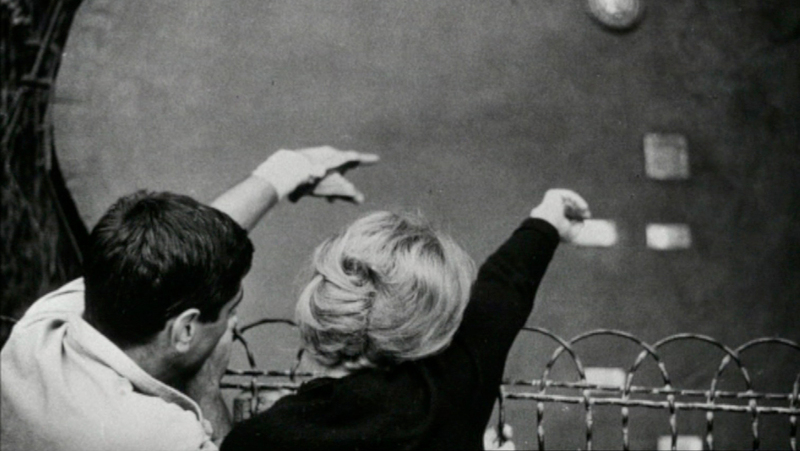 Chris Marker evokes this idea as he tells the story of La Jetée (1962) through a series of still frames. By almost entirely removing motion from his film, Marker challenges the idea that cinema is solely the domain of the moving image as he weaves together an intricate portrait of memory, time and space. When the first filmmakers emerged, they discovered that it was possible to achieve the illusion of motion on the silver screen by showing sequential still images in rapid succession. These images would alternate with blank screens, making use of the stroboscopic and afterimage effects to trick the mind into perceiving movement. Specifically, they learned that displaying 16 frames of film per second would yield what appeared to the audience as realistic onscreen action. This number was important because it minimized flicker while reducing the need for excessive manual cranking for camera operators and projectionists. With the advent of talkies, 16 frames per second was raised to 24 frames per second to accommodate soundtracks; this also offered much smoother motion that seemed to more closely mimic how movement occurred in the real world. 24 frames per second remained the standard for the rest of the twentieth and beginning of the twenty-first centuries, even with the industry transition from film to digital media. In this way, still images that captured separate moments were and are used in concert to spatialize time over the physical length of a film strip (or movie file). The discovery of 16 and then 24 frames per second standards meant that filmmakers could display this spatialized time in a way that an audience would understand: by running it through a projector at a constant speed. “Sallie Gardner at a Gallop”—a sequence from Eadweard Muybridge’s 1878 zoopraxograph experiment. 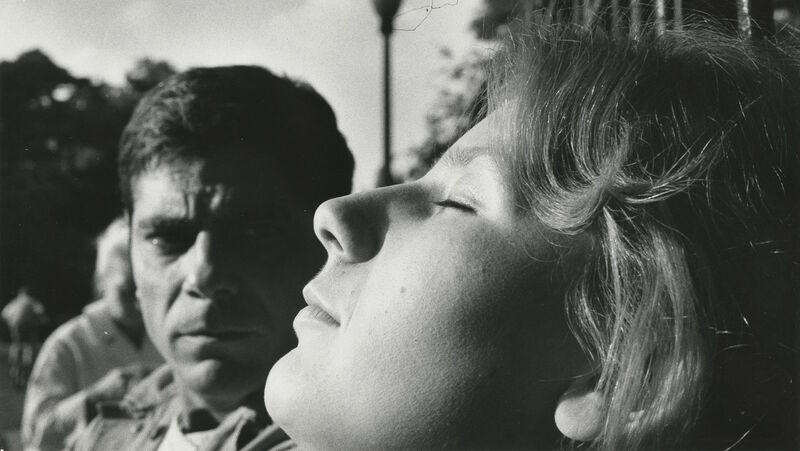 Through formal and aesthetic choices that reflect themes of time and space, Chris Marker addresses the fundamental motion-focused nature of cinema in La Jetée. Not coincidentally, these ideas complement the narrative requirements of his time traveling science fiction tale. His work stands as direct commentary on the basic operations of cinema, as well as the philosophical ideas of freedom and movement. Marker tells a compelling story of love and loss using just narration and stationary visual cues. When Marker does include one brief 5-second moment of motion picture, captured on ordinary 35 mm film, it feels abnormal. Its incongruence draws attention to both its own kinetic value and to the static visuals which surround it. This moment of motion picture is carefully introduced in La Jetée. In the stills prior to this sequence, as the main character (“The Man”) travels back in time, we see repeated close-ups of the face of the character known as “The Woman.” These shots are interspersed using crossfades with The Man in his future-present hammock. Each time The Man goes back in time, he sees her and she sees him, although their interaction remains minimal. In this moment, Marker (through the narrator) addresses the nature of motion picture as a product of uncertainty. The Man, in this case a stand-in for the audience, is unsure whether he has seen true motion or if he simply imagined it. This phenomenon is endemic to film. As aforementioned, all motion in cinema is the product of rapidly alternating images and blank frames. This comes across to the audience as motion, but is in reality a product of the human mind filling in spaces between still frames to create that illusion. Like The Man, audiences can only assume they are watching movement when they see a movie, because that is what their eyes seem to be telling them. Films are therefore dreamlike mental projections; cinematic motion seems real, even though the trick is taking place solely in the viewer’s mind (not unlike the stereoscopic effect). Marker’s ethereal aesthetic is exemplified when The Woman does eventually move; her motion is so brief, so subtle and so sudden that the audience does a double-take, reassuring themselves that what they are perceiving is motion. After the initial stills of The Man in the future-present and The Woman as he sees her in the past, the narrator stops talking and a soundtrack of bird calls takes over. The shot reopens on The Woman sleeping in bed, ostensibly naked, covered by a blanket. Contrary to the temporally disparate stills shown before, the first three shots in this sequence zoom in on The Woman’s face as she continues to sleep. As the moment progresses, the stills appear more frequently in diegetic time, showing minute shifts in her facial expression as well as small movements of her head, hand and arm. Crossfades between these temporally adjacent frames gives the illusion of motion blur and, by association, motion. In these frames, it is almost as if she is breaking out of her frozen state and thawing into a kinetic space. As Marker continues to reduce the diegetic time gap between stills, the bird calls crescendo. When volume of the birds reaches its apex, the shot is no longer still. The viewer is suddenly staring directly into the open eyes of The Woman. She hardly moves, her chest barely rising and falling as she takes a breath, but the switch from stills to motion picture is confirmed when she blinks her eyes several times. In the next frame, the Marker has returned to still images. In this motion sequence, Marker seems to make direct commentary on the nature of cinema. Not only does this scene stick out because it contrasts with the rest of the movie, depicted in stills—it sticks out because of what The Woman does with her five seconds of kinetic freedom. In that brief release from the staccato images that precede it, The Woman blinks. Much like the blank frames in between still shots which comprise a film strip, blinking is a universally unconscious phenomenon. Although humans see the world as if it were one continuous image, eyelids are always opening and closing. They act as a shutter which moves so fast that it is almost imperceptible, punctuating what appears to be one long visual intake with “frames” of blackness. This makes shut eyelids analogous to the blank closed shutter interspersed between the images on a film strip. In this scene, The Woman’s eyes can be seen as the shutter or blank frames which are part of the technological form of cinema. Marker is making the audience aware of her blinking, an action which we normally ignore, while also forcing the audience to think about the technological techniques—specifically, the stroboscopic and afterimage effects—that make cinema work. In cinematic antiquity, lifelike motion was critical to the pioneers of the medium because it more accurately captured reality; as a consequence, it was believed that portraying movement in a realistic capacity meant the viewer could more easily engage with the material because it was similar to the viewer’s own world. Marker uses a distinctly disconnected approach to dissociate himself from this mode of storytelling. In doing so, he prevents the audience from relating to the story as if it were similar their own reality. One reason Marker does this is narrative orientation. Because he is telling a science fiction story, he must spend time building an alternate but believable reality in which his characters can operate. Although this film uses a minimal budget to portray a futuristic France, Marker was nevertheless careful to make it feel as though the audience was truly seeing a desolated country divorced from contemporaneous reality. By showing a new society embroiled in World War III through still frames, he prevents immediate recognition from the audience of any particular time or place, and thereby creates a new France which is separate from (but reminiscent of) the France of 1962. 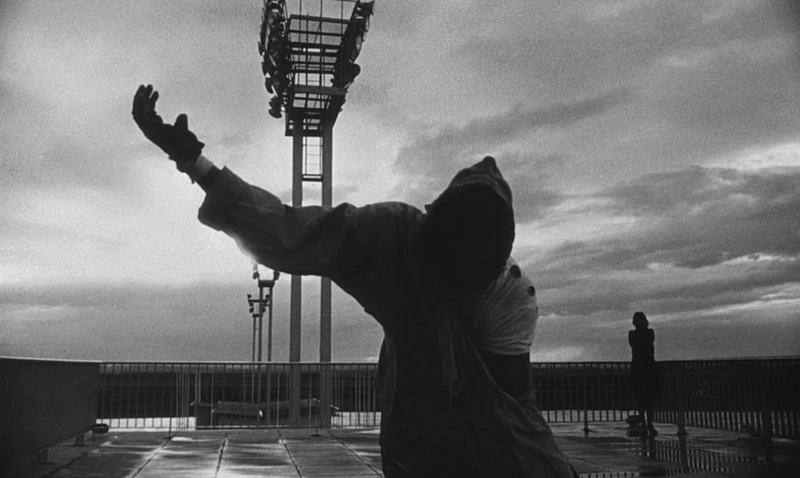 There is other narrative significance to Marker’s still images in La Jetée. The protagonist is forced to recount old memories in order to physically launch himself into the past. During each of these time traveling moments, The Man is allowed only a brief visit before waking up again in the future-present. These sequences are perhaps not unlike going to the movies, where a brief 1-3 hour experience can transport us, the audience, to another time and place before bring us back to our daily lives. Moreover, these moments of discrete journeys in time are mirrored by the still images Marker uses to tell his story. The audience is allowed only static glimpses of The Man’s journey, both in the future-present and in the past. This makes his story elusive, offering a disconnected view of his life. This intangibility for the audience echoes the ephemeral meetings between The Man and The Woman of whom he dreams, wherein The Man can spend no meaningful amount of time with The Woman before being brought back into the future-present. In parallel, the audience cannot spend a quantifiable or extended period of time with The Man because of Marker’s cinematographic technique. Marker makes clear his narrative intentions with this formal choice when The Man and The Woman meet in a museum. The narrator says, “Around the fiftieth day, they meet in a museum filled with timeless animals.” Here, the animals are not stationary because the film is shown through still images, but because they have been taxidermied. They will not live or die because they are already dead, nor will they ever move again. This moment directly reflects Marker’s use of still photography in narrative storytelling. 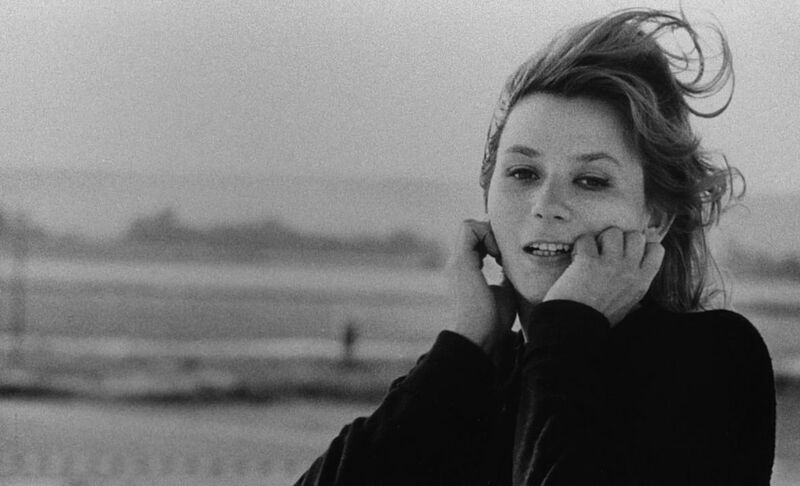 Like these animals, the human characters in La Jetée remain completely stationary in each still photograph; Marker only implies their motion by showing subsequent frames juxtaposed in montage. Through image association (and, to some extent, through narration), the audience is expected to understand that each image follows the other in chronological order. In the major twist of La Jetée, the audience comes to learn that the protagonist eventually dies at the eponymous “jetty at Orly.” In that light, the museum animals become a metaphor for The Man and for fate. 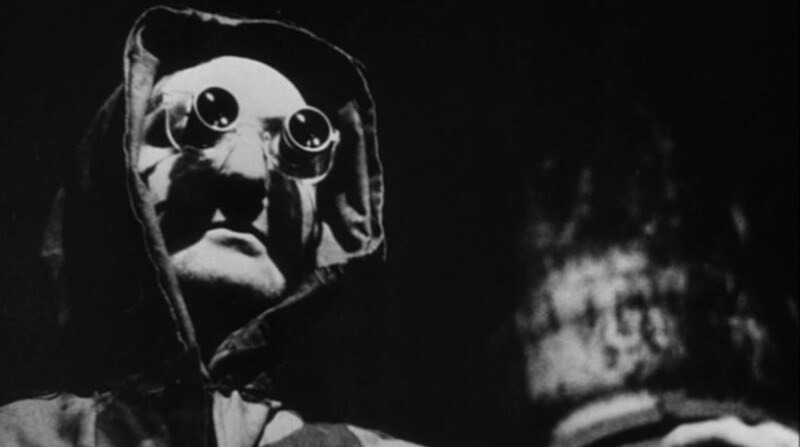 Because he is destined to die, and because time appears to function in a loop in La Jetée, he is—in a sense—already dead. Therefore, his inability to move when he first travels back in time echoes the taxidermied animals who, like The Man, are dead, frozen in time, and unable to move. Marker may have something specific to say about fate through this analogy. The protagonist in La Jetée eventually comes to understand that he saw himself die as a small child. Since he has already seen his own end, The Man has no means of escaping his demise. Therefore, the still images that Marker uses throughout the film represent his restricted life. In this reading, motion is not a broad analogue for freedom, but specifically for the freedom of choice. The Man has no control over his own destiny and so his motion is confined the set path eventually leading to his murder. Even his visits to the past are depicted as still images because those visits are also part of his preset journey. Marker reaffirms his association of life with freedom of movement in the motion picture sequence. As discussed earlier, The Woman hardly moves in this scene outside of a simple blink of the eyes. However, she also takes a breath in this scene. Breath, in both the Biblical and biological sense, can be directly linked to life. In the Abrahamic religions, God breathes into Adam to give him a soul. In biology, all living organisms must respire (which doesn’t always mean “breathing” in the broader sense, but you’ll forgive the generalization) in some way to generate energy. Therefore, it is key that The Woman breathes in her brief moment of motion. This displays not only a sense of kinetic energy, but also one of mobile life in contrast to the stillness of death. Marker goes further to link the ideas of life and motion. In the motion picture sequence, bird sounds supplant the voice of the narrator. Marker intentionally uses these particular animals because of what they represent: unfettered freedom. Birds have total dominion over all three Cartesian dimensions (x, y, and z). They can move through the air in any direction with seemingly no limit on their mobility; they are the very definition of “free.” In this moment of motion in the film, then, the crescendo of the bird calls and the increasingly frequent succession of still images signify that The Woman is breaking free of her static confines and embracing the freedom of movement. When The Man and The Woman go to the animal museum, the narrator mentions The Man finds that he can move without any resistance, unlike earlier trips into the past. As they navigate around the museum of taxidermied animals, the bird display holds their interest the longest. This is emphasized when a camera shot through the back of the display frames a stuffed bird in flight just above both of their heads. This shot is held longer than any of the other still frames in the museum. Marker goes on to show upwards of fifteen more still frames of bird exhibits around the museum. This is done with intention; for Marker, birds are iconographic manifestations of The Man’s ability to move around without restriction, and of The Man and The Woman’s freedom to enjoy one another’s company. 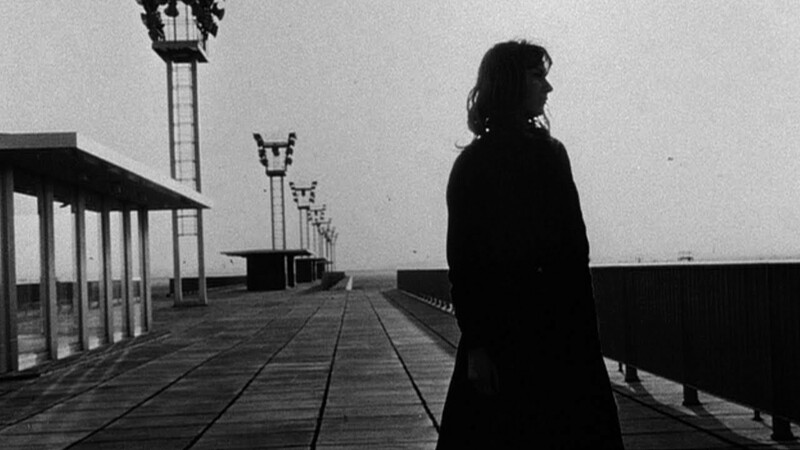 It is not coincidental that La Jetée is titled as such, nor that Marker’s story begins and ends at a pier positioned next to an airport. A jetty, or a pier, is a launching point for boats and other water crafts. Likewise, an airport serves as the landing and liftoff site for airplanes. In both cases, these vehicles can be taken to or from virtually any place on Earth. 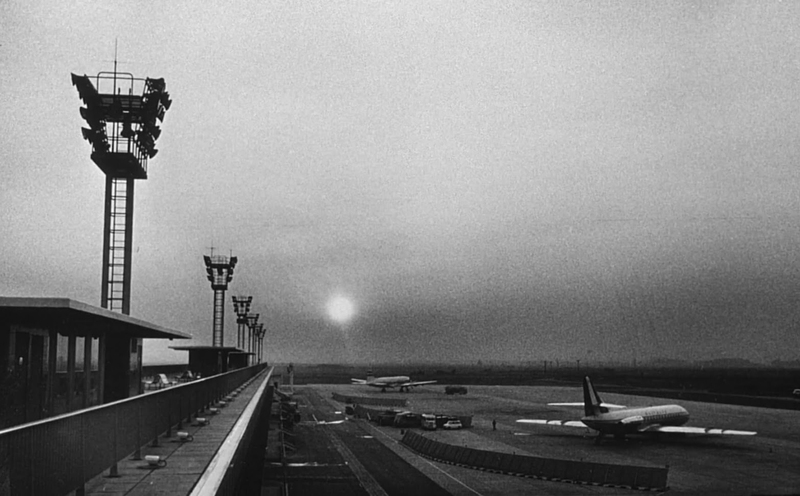 To strengthen this point, images and sounds of planes are prevalent in the opening shots of La Jetée. Again, themes of motion and freedom come into play. Following the symbolism of the birds in the motion picture sequence and in the subsequent scene in the museum, planes and boats take on a new meaning. In a film where nothing seems to move, these are key representations of physical freedom. Like a fish in the water or a bird in the air, these vehicles give humanity freedom it did not previously possess and a dominion over parts of the world it theretofore did not control—all of which are elusive to The Man and The Woman, trapped in discrete moments in time. While Marker seems to associate life with movement and freedom, it could conversely be argued that he believes death is the only true means to achieve freedom. In the first shots of the film, shortly after he introduces The Woman to the audience, The Man recalls a childhood memory of seeing a man shot and killed. At this moment, the sound of a plane revving its engines in anticipation of takeoff accompany scene. The plane is then shown in the air as the man dies. As The Man later learns, the person he saw die at the pier near Orly was an older version of himself, visiting the past using future-present technology. After realizing this, that death represents an inevitable fate for The Man. In that light, dying is the only release The Man has from the time loop; every time he goes back to that pier from the future-present and dies, he is freeing himself from a life that was ultimately predestined and absolutely determined.